As part of our 2nd Facebook Anniversary, I teamed up with a fellow blogging friend Doni Brown for a special giveaway. In addition to being a blogger, she is also the owner of Fluent. 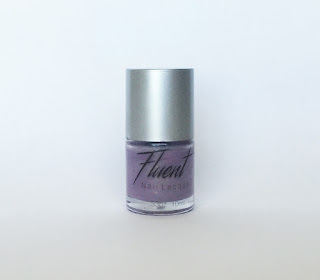 Fluent is a luxury nail polish line. To find out more about Fluent keep reading below to hear from Doni herself. 1. 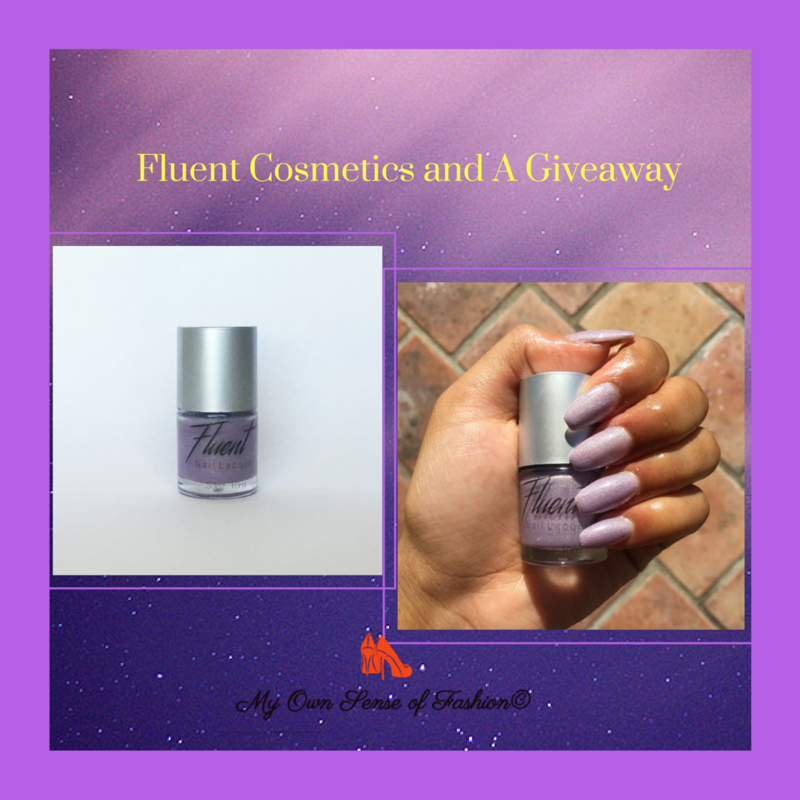 How did you pick the name Fluent & what was the inspiration? I picked the name fluent for many reasons. I feel like it embodies the type of girl that wears my polish. She’s usually affluent in some way, well versed in most areas of life, cultured and she loves adding fun elements to her look in subtle ways. For instance, she might be wearing a sleek modern look, but she’ll have a really fun manicure to spice things up. It’s all in the details for her. That ideal girl that I’m making the polish for is the inspiration. 2. What is your inspiration behind the shade names? Honestly, it’s the most random process ever. Sometimes I think the names are terrible (because I’m horrible at picking names for stuff) and other times they’re perfect. But regardless I just commit to it. They’re usually chosen based on what the polish reminds me of. Sometimes I create a color to match a name, though, if I just desperately want to use a name. That’s how the color baby girl came about. It was a name before it was a color. 3. 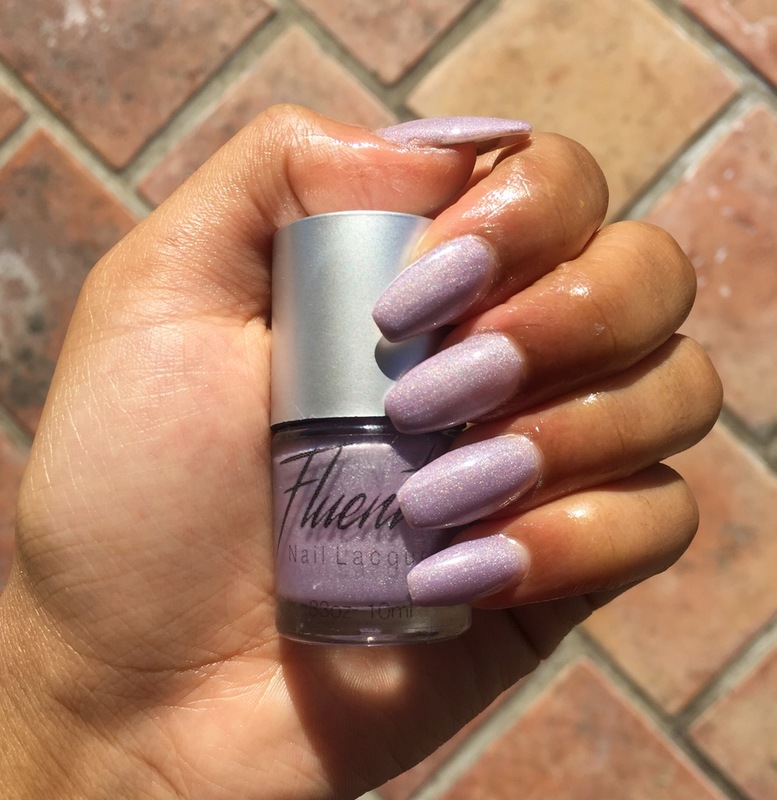 How long does each polish or top coat last before having to be reapplied for touch ups? Each polish lasts up to 2 weeks depending on your lifestyle. I’ve had people that are rough on their nails say that it lasts very long for them, so it’s very consistent. 4. What sets Fluent apart for the other nail polishes on the market? Fluent is an indie polish and it’s 5-free. 5-free means that it’s free of all those five major chemicals in most polishes. So, if you’re a frequent polish user, and you make that change to 5-free, it would help to build up the strength in your nail since those harmful chemicals aren’t penetrating your nail bed. 5. What would you say is your most popular shade? The most popular shade is definitely Cosmic Dust. It’s just a fun, easy to layer, color. As special thanks to our readers, we are giving away one Fluent “Cosmic Dust” Nail Lacquer to one special reader through Rafflecopter. You can enter for your chance here on our Facebook page and Instagram starting tomorrow at 12 am (CST). Special thanks again to Doni Brown. You can find at her blog, Twitter, and Instagram.